Have you ever thought how scary it would be if one day your heart suddenly stops pumping blood to your body? It can be a disease wherein it can cause death in minutes with no subjective symptoms at all. Even X-ray and CT scan do not show any signs of heart enlargement. What kind of condition is this? This is called “Valvular Heart Disease”. Are there ways to find this out before anything else happen? Yes, and we'll find a way here. Do you know that “lub-dub” sound you hear through a stethoscope when the heart valves are closing? 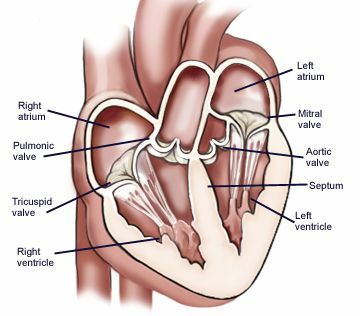 When you suffer from valvular heart disease, the valves leak and do not close properly, and the sound will not be clear. The sound it produces is more of a “lub-shhh-dub” sound, or it does not produce any sounds at all. That's how doctors conduct the diagnosis and they call this sound a “heart murmur”. There are people who look healthy because of their active lifestyle. They do daily walking, tennis, mountain climbing, and other exercises, yet one day they suddenly faint and pass out. After medical analysis, it was diagnosed that the patients have “hypertrophy”, which was unexpected. Remember that the patients experience no subjective symptoms at all. As you know, the size of the heart changes depending on the works or energy being exerted by the patients. It is the reason that our physical as well as mental activities should fit our heart for it to properly supply blood. Too much work, heavy activities, and even strenuous exercises, may cause malfunctioning of the heart valve and will lead to abnormal flow of the blood. The valve is a very important part of the heart and body to create a normal blood flow. Why will the heart becomes enlarged if the valve does not work properly? This is mainly due to regurgitation, which can be diagnosed through CT scan. Regurgitation is a backward flowing of blood into the heart through a defective heart valve (imperfect closing of the valves). If blood regurgitation occurs, the fresh blood circulating along the blood vessels will be lesser, and that may create several problems to the function of the body cells. In other words, if the valve is not functioning well, the blood will accumulate in the heart. This means that blood pressure in the heart will expand and heart enlargement will occur. Soon, the enlarged heart will be hardened, which will then lead to difficulties in pumping the blood. It is the reason that the heart beat “lub-dub” sound becomes difficult to be heard. If left untreated, this condition can pose a huge risk and danger to the patient that can lead to death. Valvular heart disease is a disease that can be detected by a stethoscope. If you're suffering from heart valve problems, and when the blood flow is abnormal, the heart often produces a sound called a heart “murmur”. A murmur is simply an abnormal sound created by blood flow. A flow that is not obstructed is hard to hear, while a disordered flow creates sound. That's how physicians can evaluate the difference. 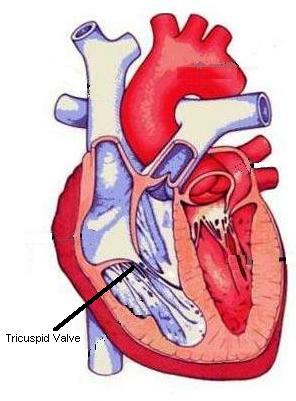 Heart valve problems are either congenital (inborn), or acquired later in life due to calcium buildup around the valve. Calcification in heart valve occurs at a faster rate in dialysis patients compared to the general population. Therefore, patients who go for dialysis should be more careful. Arteriosclerosis, high blood pressure, dyslipidemia, diabetes, obesity, and smoking, are among the major causes of valvular heart disease, too. Surgery is one of the recommended treatments for valvular heart disease. Usually, once you have undergone surgery, you can enjoy the rest of your life without any problems. In fact, my younger brother was suffering from valvular heart disease since birth. However, we were poor during those days. He just had to abstain from all heavy works until he became high school student. He had to control his diet including all his daily activities. Because of his effort to live without undergoing surgery, he tried to follow all precautions given by his doctor. He is now 70 years old. Although he is physically slim, today, he may be the healthiest man among our family. If you are suffering from the same disease, try your best to follow advices given by your physician, and you may also live as healthy as my brother. Valvular heart disease is not a serious disease. It can be easily diagnosed. CT scan and cardiograph will help you know of the sickness. It can also be treated by surgery without any side effects. We receive a lot of inquiries if the PYRO-ENERGEN can cure valvular heart disease. Unfortunately, the disease is a physical defect, and so the machine cannot help to repair it. If you are suffering from diabetes and viral diseases, to protect you from valvular heart disease, then we recommend you to apply the PYRO-ENERGEN therapy. 1. "What You Should Know About Post-Menopausal Syndrome"
2. "Heart Disease Risk Increases at Age 40 and on Menopausal Women"